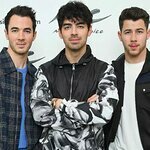 The youngest member of the Jonas Brothers – Nick – is giving fans the chance to meet him in person and find out what it’s like to be a pop star with diabetes through a new competition. Earlier this month the brothers teamed up with Bayer Diabetes Care to raise awareness of the condition, and now they are inviting people with diabetes to enter the “Walk In Nick’s Shoes” (W.I.N.S.) sweepstakes which will give four lucky fans the opportunity to meet Nick Jonas in Los Angeles and be part of “Team Jonas” at the Juvenile Diabetes Research Foundation Walk to Cure Diabetes in Los Angeles on November 1. Each Grand Prize winner will receive a four-day/three-night trip to Los Angeles, round trip air transportation to Los Angeles, standard hotel accommodations for three nights, ground transportation and a daily allowance. They will also get a Fit4D diabetes coaching program that includes a coach who will accompany the winner during the walk, a one-to-one diabetes coaching package for four months, and eight months of fitness coaching. Ten First Prize winners will also receive a pair of sneakers autographed by Nick Jonas, and 100 second prize winners will receive a t-shirt. The sweepstakes run until October 1, and can be entered through www.nickssimplewins.com. The Walk to Cure Diabetes walkathons will be held in over 200 locations in the US, and more information can be found on their official website.